Milo’s Louisiana bayou is overrun with alien bug invaders and magical creatures in this start to a new middle grade series. What Milo doesn’t know is that the Earth is already fighting back with its own natural power in the form of Nightsiders, magical creatures who prefer shadows to sunlight and who reside in trees, caves, and rivers. And the Nightsiders are ready to find an ally in Milo. On openingday of the new baseball seasona small model-kitairplane flies down from the stands and buzzes the mound, where a decorated veteran pilot is about to throw out the first ball. The toy plane is the exact replica of the one flown by the war hero. Everyone laughs, thinking it’s a prank or a publicity stunt. Until it explodes, killing dozens. Seconds later a swarm of killer drones descendupon the picnicked crowd, each one carrying a powerful bomb. All across the country artificial intelligence drive systems in cars, commuter trainsand even fighter planes go out of control. The death toll soars as the machines we depend upon every day are turned into engines of destruction. 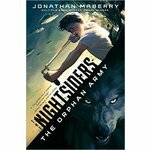 Kirkus - starred review: "Maberry's prowess in fiction as well as comic books is evident in his well-crafted story, which balances over-the-top battle scenes with the quiet moments between characters that give substance to what could be a heartless thriller. 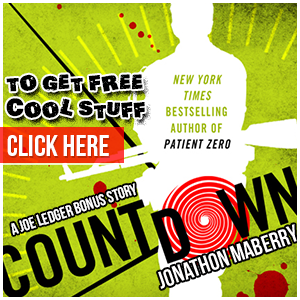 This first book in an explosive new series is the perfect mix of science fiction and magic." 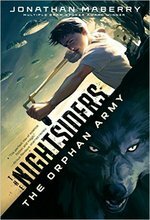 Milo must choose between risking his life to save both the human and magical universes—or to live and save only his own—in the explosive and fast-paced follow-up to the first novel in the Nightsiders series, which Kirkus Reviews called “the perfect mix of science fiction and magic” in a starred review. 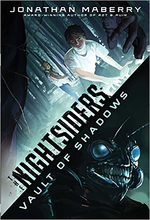 After joining forces with the magical Nightsiders and surviving a trip to the enemy Bugs’ Hive ship, Milo Silk still has a lot to fear. The Huntsman has pledged a revenge worse than death on Milo, a group of nefarious fairies are bent on taking back Earth, and zombie-like holo-men are trapping humans for the Bugs to take. Even more unsettling is that the Witch of the World has disappeared and a mysterious boy is haunting Milo’s dreams in her stead. But none of these threats compare to what may happen to the world if the humans and the Nightsiders don’t unite to fight for each other. Kirkus - Starred Review: "... Magic, aliens, and now…zombies—a can't miss combination." 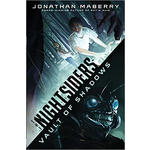 School Library Journal: A solid series installment; a must own where there are fans of the first “Nightsiders” adventure.